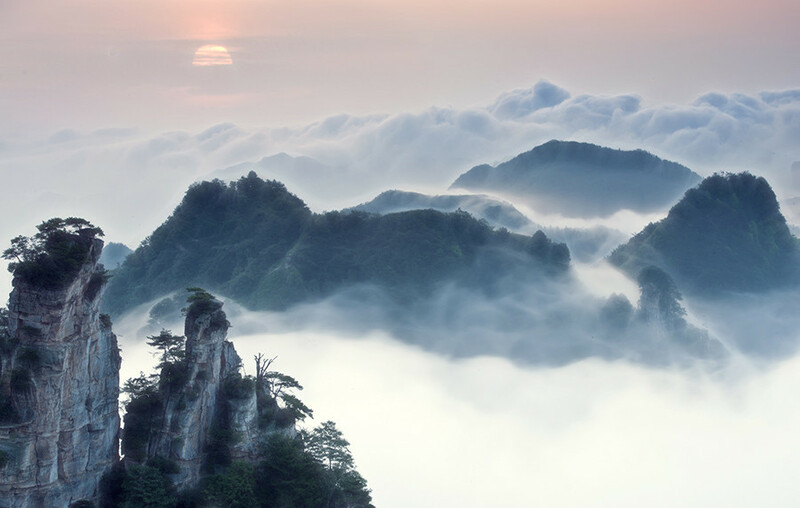 Wulingyuan is a scenic and historical area that was inscribed as a UNESCO World Heritage Site in 1992. 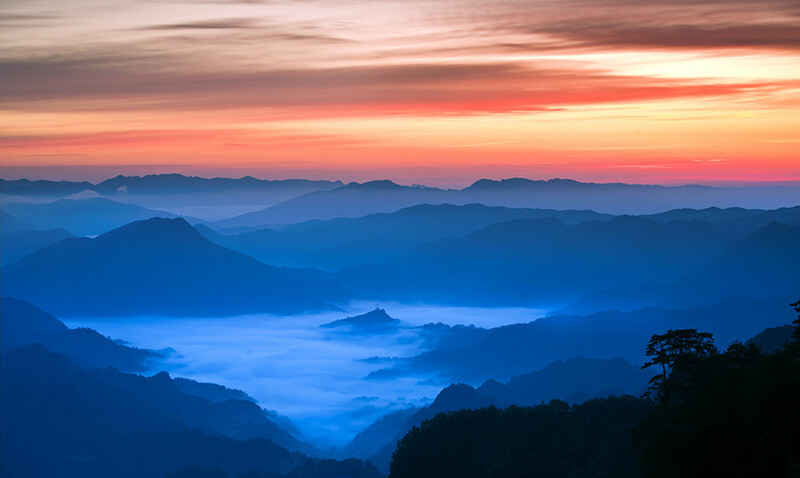 It is located in northwest of Hunan Province in central China. 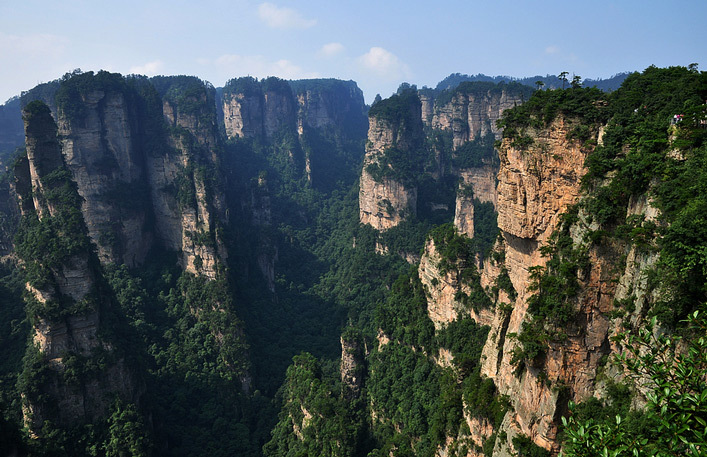 It consists of Zhangjiajie National Forest Park, Suoxiyu Nature Reserve, Tianzi Mountain Nature Reserve and Yangjiajie Scenic Area. 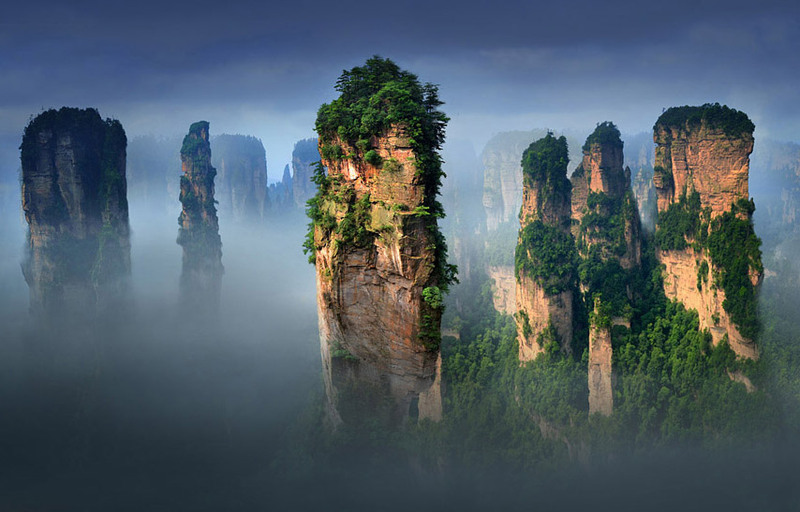 It is noted for more than 3,000 quartzite sandstone pillars and peaks across most of the site, many over 200 metres (660 ft) in height, along with many ravines and gorges with attractive streams, pools, lakes, rivers and waterfalls. 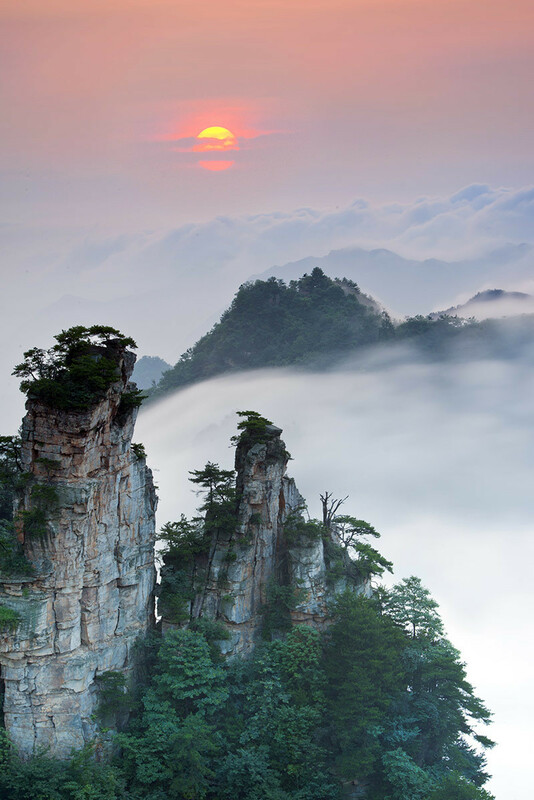 It features 40 caves, many with large calcite deposits, and two natural bridges, Xianrenqiao (Bridge of the Immortals) and Tianqiashengkong (Bridge Across the Sky). 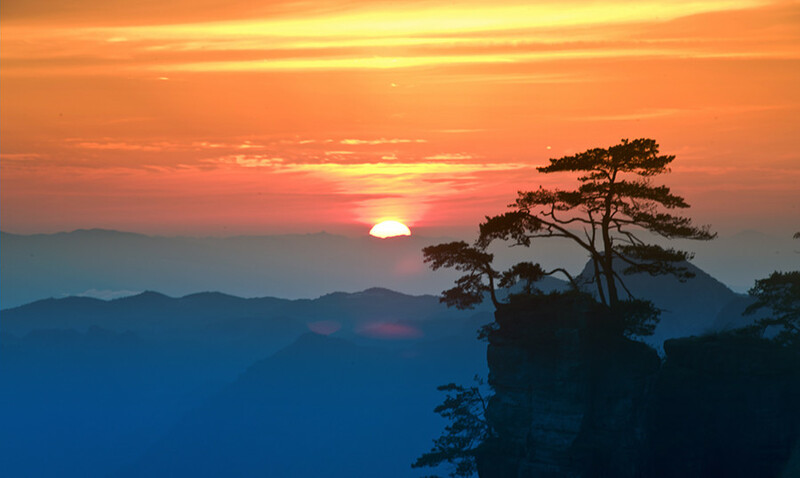 Take regular tourist bus from Zhangjiajie Central Bus Station (near Zhangjiajie Railway Station) to Wulingyuan Scenic Area every a few minutes and the bus journey takes about 40 minutes. Bus fare is around RMB 12.